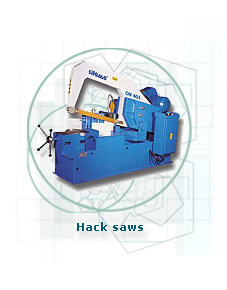 The hack saw and band saw cutting machines from the list of VEDI International Ltd. are designed for manual, semi-automatic and automatic operations in cutting round and square, long and short, ferrous and non-ferrous work pieces, tubes and plates with dimensions up to 1000 mm. The strong guide systems, the variable band speed, the possibilities for cutting at different angles, availability of cutting pressure controls system, manual and automatic feed of the work pieces allow high precision in single operations and high productivity in series operations. By customer's request the machines can be equipped with a big variety of accessories. 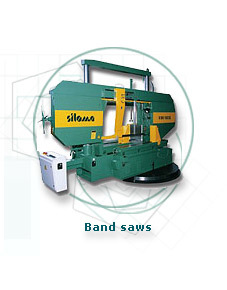 Choosing the smallest or the biggest cutting machine you always choose quality, which we guarantee.